Linkin Park multi-instrumentalist and rapper Mike Shinoda has announced details for his debut, full-length solo album. 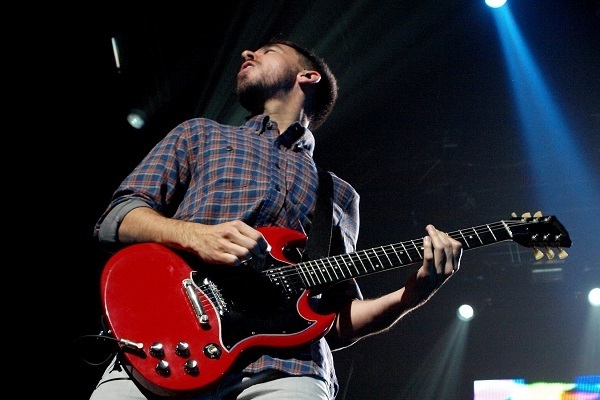 The new album shares the title of the EP Shinoda unleashed earlier this year, “Post Traumatic,” and has the street date of June 15. Much of the album’s material will revolve around Shinoda dealing with the tragic death of Linkin Park frontman Chester Bennington last year. “Post Traumatic” will feature the three tracks that appeared on the “Post Traumatic” EP, as well as 13 additional songs. Along with announcing the new album, Shinoda has unleashed two of the new tracks off the set, “Crossing a Line” and “Nothing Makes Sense Anymore.” Both are streaming via YouTube with music videos. Shinoda says “Post Traumatic” is a snapshot of his struggle with the loss of Bennington. He calls it “a journey out of grief and darkness, not into grief and darkness,” according to a release. In other news, Shinoda will perform a free show in Los Angeles on May 12. He also recently announced solo performances at the U.K.’s Reading & Leeds and Japan’s Summer Sonic festivals in August.